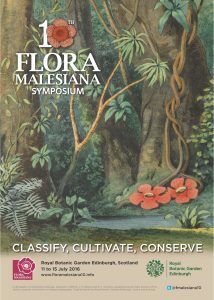 Next month the Royal Botanic Garden Edinburgh will host the 10th International Flora Malesiana Symposium (11-15th July). 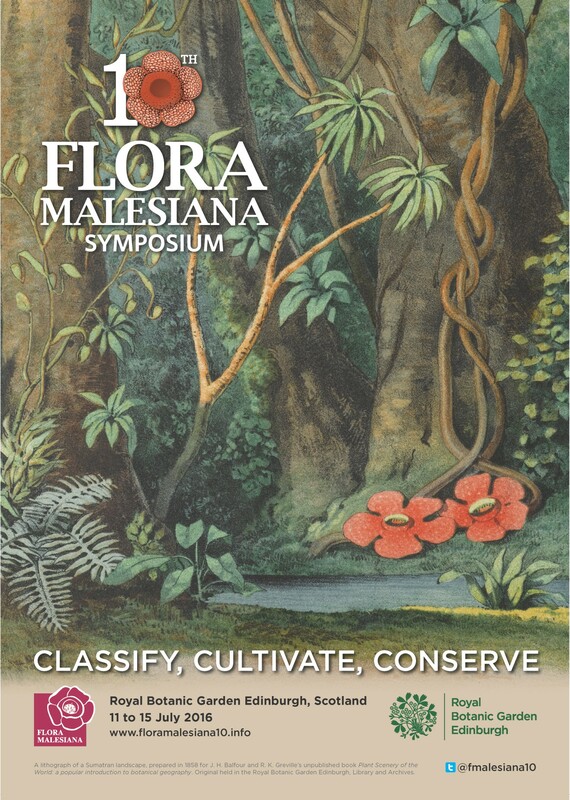 This will bring together Taxonomists, Horticulturists and Conservationist to discuss the flora of the Malesian region, a region spanning 7 countries (Indonesia, Timor-Leste, Papua New Guinea, The Philippines, Malaysia, Singapore and Brunei Darussalam). This region has one of the highest levels of plant diversity anywhere in the world but is also one of the most threatened. Although the Flora Malesiana Project to document the flora of the region in a series of authoritative publications was established in 1959 it was only in 1989, in Leiden, the Netherlands, that the first Flora Malesiana Symposium took place. This aimed to bring together researchers working on the flora from across the world to discuss their work. Since then there has been a symposium every three years with two of every three meetings held in the Malesian region. The last meeting was in 2013 in Bogor, Indonesia and it was here that Royal Botanic Garden Edinburgh was officially awarded the 10th Symposium. The theme of the Edinburgh symposium is “Classify, Cultivate, Conserve”. At the heart of the symposium is the taxonomic research which underpins all plant diversity research, in particular publications that document and help us better understand the massive diversity of the region. However in this symposium we will also be highlighting and celebrating the role that horticulture has in helping us understand this diversity and how it contributes to conservation projects across the world. For more information go to www.floramalesiana10.info or follow us on Facebook (Flora Malesiana 10), twitter (@fmalesiana10) and Instagram (#floramalesiana10).